Styled with jardin longsleeve and dujardin jacket . 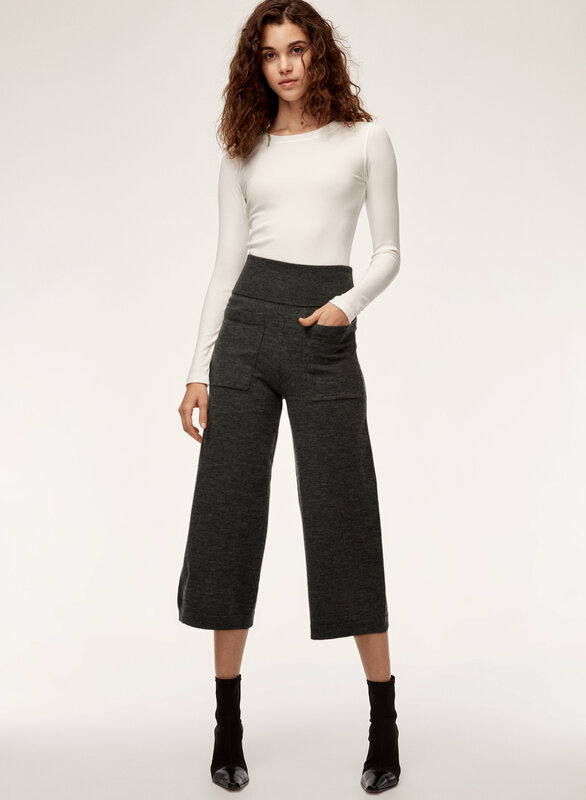 This pair of pants is knit with a slick merino wool blend that keeps its shape. An exaggerated leg combines with a fitted waistband for a super flattering shape and unrivaled comfort. 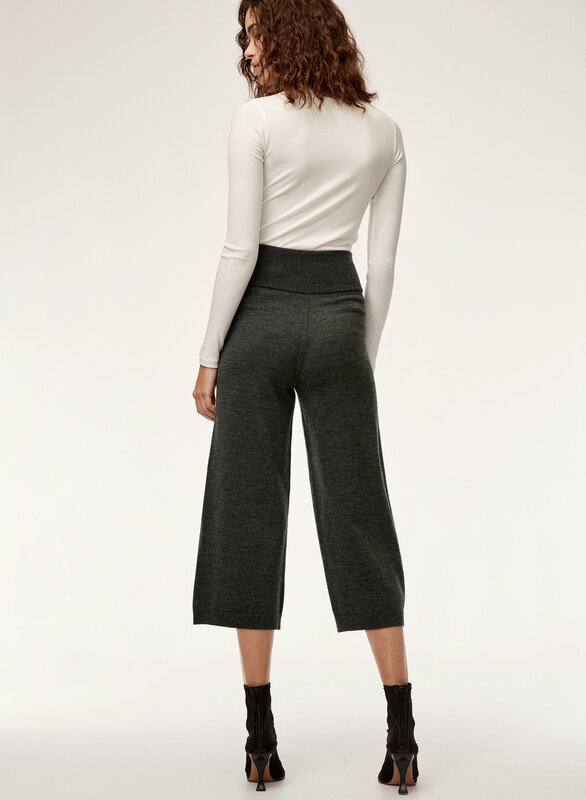 I'm not usually into culottes but these are incredibly flattering! 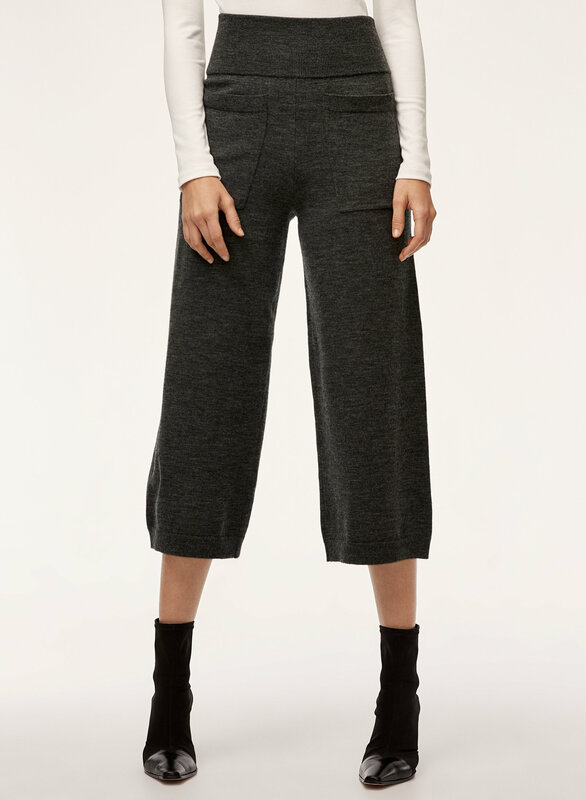 They're work appropriate, crazy comfy, and the perfect pants for short flights. 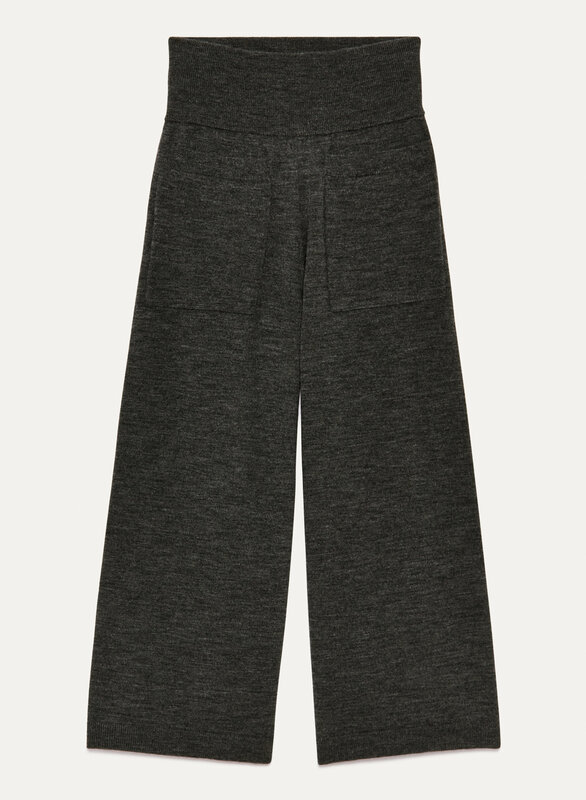 I will advise sizing down in these since they're a knit merino wool- They'll stretch. Super comfy and feel like I would love them but the sizing seems off. The medium is massive on me and loosens up after wearing them for 15+ minutes. Size down! Best sweater for your legs! 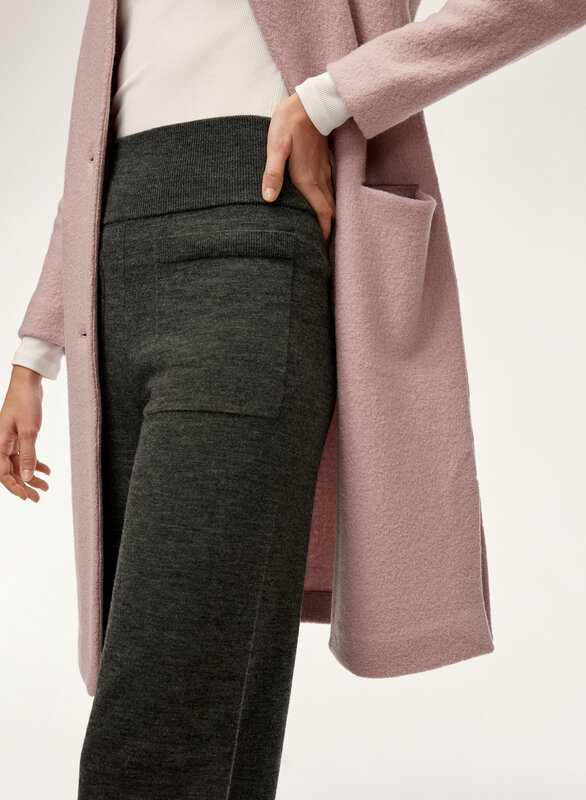 These pants are perfect for cold winter days. They do stretch a bit over time, so size down if you can. However, they are super easy to take care of because they are machine washable (turn inside-out, put in mesh bag and wash in cold water), and lay flat to dry. No ironing required, how nice! I've had mine for 2 years now, and I wear them once a week during the winter months.